On December 16, 2011, the Environmental Protection Agency (EPA) signed two final rules to regulate air toxics emissions and criteria air pollutants from coal-fired and oil-fired electricity steam units (EGUs). Together, EPA refers to the rules as the Mercury and Air Toxics Standards (MATS) for Power Plants. This rule package is EPA’s first national standard to reduce mercury and other air toxics from power plants. The first final rule sets maximum achievable control technology (MACT) standards for mercury and other toxic heavy metals, acid gases, and certain toxic organic compounds; the second final rule establishes new source performance standards (NSPS) for EGUs. 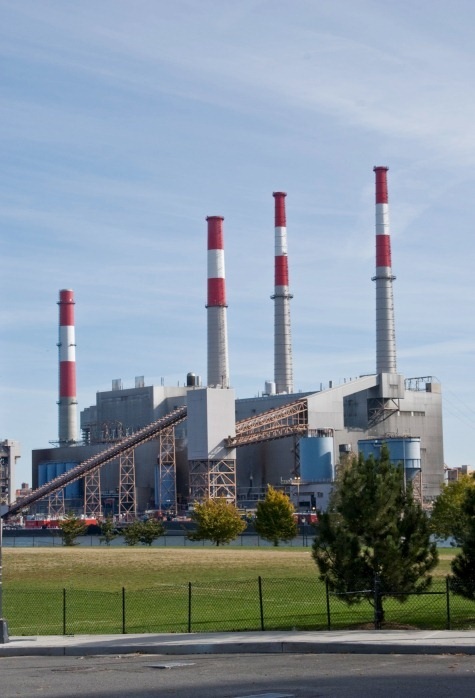 Coal-fired and oil-fired power plants currently operating must comply within three years from the final rules’ publication in theFederal Register, with the potential for a one-year extension of the compliance date through the state and a second one-year extension available through an administrative order process. Natural gas-fired units are not covered by the MACT for EGUs but must comply with the NSPS. Clean Air Act (CAA) section 112(d), enacted as part of the 1990 Clean Air Act Amendments, directs EPA to set National Emission Standards for hazardous air pollutants (HAP) for each category of sources listed by the CAA. EPA listed EGUs for regulation under section 112 in 2000, and this new final rule replaces the Clean Air Mercury Rule (CAMR), a cap-and-trade program for mercury emissions from coal- and oil-fired power plants, which was issued by EPA in 2005 and struck down by the United States Court of Appeals for the D.C. Circuit in 2008. Under the terms of a consent decree from a subsequent deadline suit filed by environmental groups in the D.C. District Court, EPA was required to issue a proposed Utility MACT by March 16, 2011 and a final rule by November 16, 2011. However, EPA extended the comment period for the proposed rule, and an agreement was reached to extend the final rule’s issuance to December 16, 2011. For additional background, see Van Ness Feldman’s March 18, 2011 Alert. Three-Year Compliance Deadline: With the final rule likely taking effect by March 2012, the statutorily-mandated three-year compliance period in the final rule means that compliance is required by March 2015. If more time is needed, EPA points to the statutory mechanism authorizing state permitting authorities to grant an additional year. In addition to this process, in a separate non-binding “enforcement policy” memorandum, EPA attempts to provide a path for “reliability critical” units to obtain an additional year for compliance through a CAA section 113(a) administrative order on a case-by-case basis. Questions remain, however, as to the legal effectiveness of this mechanism. Thus, sources could get up to five years to comply based on individual circumstances. Pollutant-by-Pollutant Standard-Setting Methodology: EPA’s pollutant-by-pollutant approach for setting emission limits did not change from the proposed rule despite numerous comments explaining that sources cannot meet all the limits simultaneously. EPA did incorporate new data that was submitted during the comment period into its emission limit calculations. Revised Emission Requirements for Particulate Matter (PM): In response to public comment, EPA includes only filterable PM in the emission limits for PM rather than both condensable and filterable PM as proposed. For some of the subcategories—e.g., new coal units, new Integrated Gasification Combined Cycle (IGCC) units—the emission limits for filterable PM are more stringent than those proposed. Work Practices for Startup and Shutdown Periods: The proposed rule included emission limits for startups and shutdowns, but the final rule now includes work practice standards for these periods. The final rule also requires compliance with the emission limits during malfunctions but allows sources to use an affirmative defense to avoid civil penalties. Longer Averaging Period for Mercury Emissions: For those sources using the emissions averaging provision, EPA extends the averaging period for mercury—to 90 days from the proposed 30 days—but sources exercising this option must comply with tighter mercury standards. Two Options for Monitoring: The final rule narrows down the procedures for demonstrating continuous compliance to two options, either continuous monitoring or periodic quarterly testing. Only units beginning construction, modification, or reconstruction after May 3, 2011 must comply with the final NSPS, which amends the emission standards for SO2, NOx, and PM. Similar to the final UtilityMACT, the final NSPS for PM is based only on filterable PM rather than total PM. The final rule promulgates work practice standards for startup and shutdown periods for PM only. The finalization of the Utility MATS means that coal- and oil-fired power plants nationwide will need to comply with stringent HAP emission requirements in a relatively short period of time. EPA conservatively estimates that about 4.7 GW of coal-fired capacity (approximately 2 percent of all coal-fired capacity in 2015) will become “uneconomic” to maintain by 2015 as a result of this final rule. EPA predicts that the regulation will cost industry $9.6 billion annually. Additionally, EPA forecasts that retail electricity prices may increase in the contiguous U.S. by an average of 3.1% in 2015. Due to the scope of the final rule and the short compliance period, reliability of the nation’s electricity grid has been a widespread concern. According to some estimates, the final MATS rule will accelerate the closure of coal-fired power plants critical to meeting the country’s electricity needs, thereby threatening the stability of the bulk power system in some regions of the country. Although several analyses have suggested that reliability will not be significantly affected, it is possible that federal, regional, and state agencies with responsibility for assuring electric system reliability will take further action to plan for and coordinate outages and retirements. Adding further uncertainty to the mix, EPA likely will face opposition on several fronts to the implementation of the final MATS rule. For example, affected sources and industry groups are expected to challenge the rule in court, with the deadline for filing such petitions 60 days from the publication of the final rule in the Federal Register. Among other issues, the final MATS rule will give litigants an opportunity to challenge EPA’s contested pollutant-by-pollutant standard-setting methodology. On the legislative front, members of Congress may still try to temper the final rule’s impact on EGUs. S. 1833, a bipartisan bill introduced by Sen. Joe Manchin (D-WV) and Sen. Dan Coats (R-IN), known as “The Fair Compliance Act of 2011,” would extend the compliance deadlines for the rule. Sen. Lisa Murkowski (R-AK) announced plans to introduce a bill containing a “safety valve” to help power plants with Utility MACT compliance. In addition, it is possible that Sen. James Inhofe (R-OK) is going to introduce a new version of the House‑passed TRAIN Act, which also aims to extend the Utility MACTcompliance deadline to 2018. Moreover, Sen. Inhofe has announced that he will introduce a joint resolution disapproving the final rule under the Congressional Review Act. In the unlikely event that it passes the Senate and the House, the White House is sure to veto the measure. Those coal-fired units that elect to remain in service must factor in the additional compliance burdens resulting from the rule’s implementation and plan carefully to ensure that pollution controls are installed in coordination with outages and retirements of other EGUs in their region during the short compliance time frame. Both mechanisms that could provide sources with additional time for compliance are uncertain and, in the case of administrative orders, do not address concerns about exposure to legal challenge. Click here to access the final rule. Click here to access the enforcement policy document. Recognized by Chambers USA, Legal 500, and U.S. News/Best Law Firms as a leading environmental regulatory and litigation firm, Van Ness Feldman’s Environment Practice has an unparalleled depth of experience in air quality rulemaking and analysis. The firm has been closely monitoring and counseling clients on all developments related to the final MATS rule. If you would like more information, please contact Britt Fleming, Stephen Fotis, Janet Anderson, or any member of the firm’s Environment Practice in Washington, D.C. at (202) 298-1800 or in Seattle, WA at (206) 623-9372. In early 2012, Van Ness Feldman will combine its practice with the Seattle land use, real estate, and natural resources law firm GordonDerr LLP, continuing to operate under the Van Ness Feldman name. For more information, please visitwww.vnf.com/gordonderr.